Discussion in 'iPhone and iPad Games' started by RosendoLSL, Aug 19, 2016. "You are on a Rogue Mission to steal the secret and key information of the alien’s invasion plan. Now that you have accomplish it, you are on the run and the aliens are trying to stop you by all possible means. 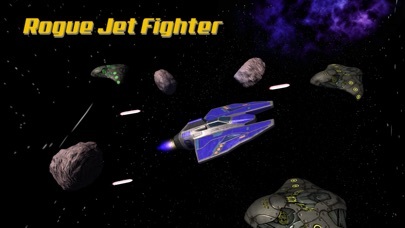 Run away in your jet fighter ship; you have to escape the alien’s attacks, dodge the asteroids, destroy as many asteroids and alien space ships as you can, and reach the Jump Gate portal to get transported back to the Earth"
Rogue Jet Fighter is the most thrilling and exciting space shooting game out there. You are on a Rogue Mission to steal the secret and key information of the alien’s invasion plan. Now that you have accomplish it, you are on the run and the aliens are trying to stop you by all possible means. 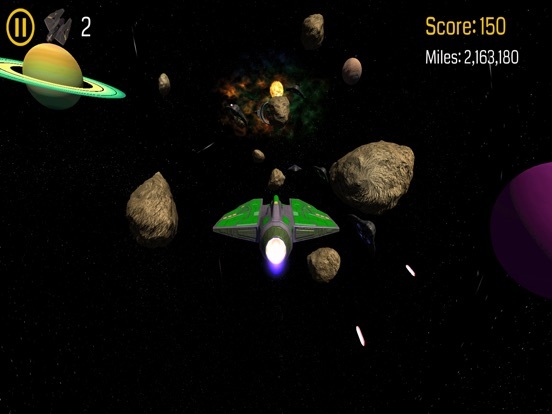 Run away in your jet fighter ship; you have to escape the alien’s attacks, dodge the asteroids, destroy as many asteroids and alien space ships as you can, and reach the Jump Gate portal to get transported back to the Earth. 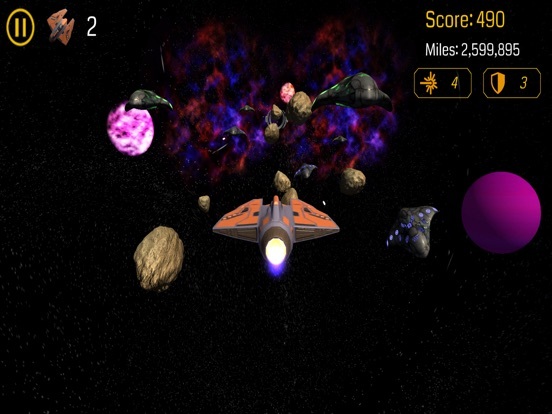 This amazing star fighting game has very exciting game play, amazing space environments with great sounds, and a great user interface to let the fighters have wonderful experience. 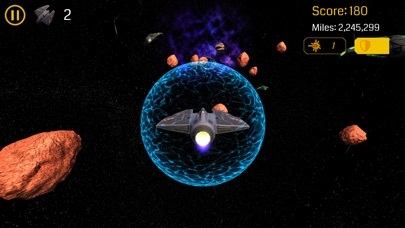 You can select the space scene, and your spaceship from several options. The controls are super handy and easy to use (motion sensors or swiping on the screen) to navigate your jet fighter space ship. So what are you waiting for? 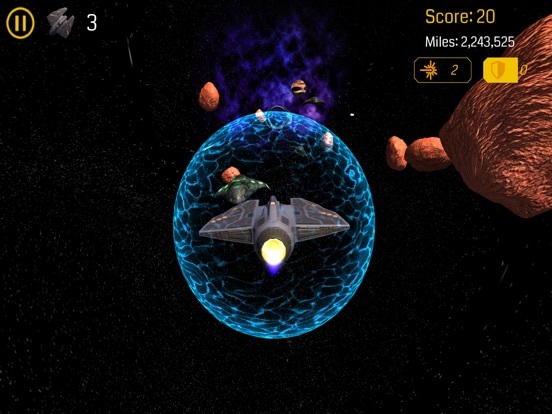 Hit the install button and start playing this awesome space shooting / alien escaping game. *********************************** We are constantly working hard on making this game better and more entertaining for you. Please feel free to email us for any feedback, suggestions, recommendations or if you just want to say hi! If you have enjoyed the game, please rate us. 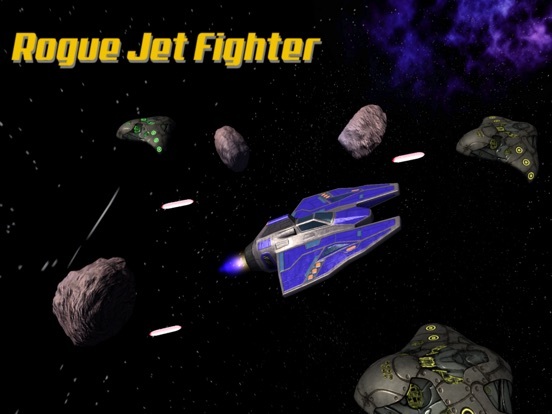 Tell your friends how much you have enjoyed playing the “Rogue Jet Fighter” game. I'll be back with some impressions! It's downloading as I type this! Thank you for posting your game. Just so you know. I played for 2 minutes and like this game so much I went into options and hit the buy button on that IAP. Ok one issue. At the beginning even when I uncheck to the option to keep showing the screen which explains the controls, it keeps showing it. Everytime. That needs to get fixed. Thanks for the feedback and we are extremely happy you enjoyed the game! We definitely will look into your (and everyone's) feedback on our next release. Thanks! 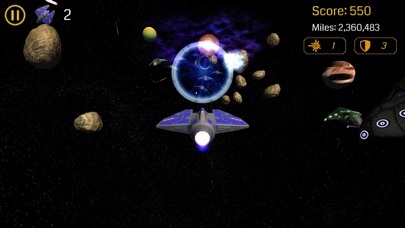 Have you considered adding a second weapon system that recharges over time like a missile swarm? Also it would be nice to have a red directional warning indicator for when rocks or enemies are right next to you out of view where you can crash into them. What other plans do you have for the game? Billy thanks for your feedback and we will definitely look into adding those on future updates. 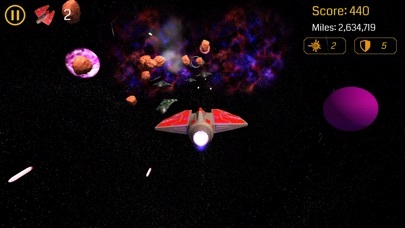 Right now we are working on more missions or scenes that would be slightly more challenging than the current ones and add more spaceships to make improve the inapp purchase offering (which unfortunately for us not many people are getting). Here's what you can do to get better revenue. 1) definitely more levels and ships. 2) upgrades for each ship using currency. Use one currency. 3) leave the current IAP as is. But add the ability to upgrade each fighter. Add a second weapon system purchased with the new single currency and upgraded with that currency. 4) introduce opt in ads for currency. You will need to find a primary and secondary ad networks that reward on VIEWS of the ad NOT based on installs. 5) make sure you visit every single online gaming site to get the word out about your game. Many thanks for supporting us, and we greatly appreciate your suggestions. Working on them. Awesome! Let me go check out the update.